Washington, D.C.—February 26, 2019—Congressman David Kustoff (TN-08) released the following statement after the passage of a Resolution disapproving of President Trump’s National Emergency Declaration. Martin, Tennessee–February 21, 2018–Congressman David Kustoff (TN-08) spoke with a group of University of Tennessee at Martin finance students and local financial and insurance professionals during a roundtable discussion at the University this week. 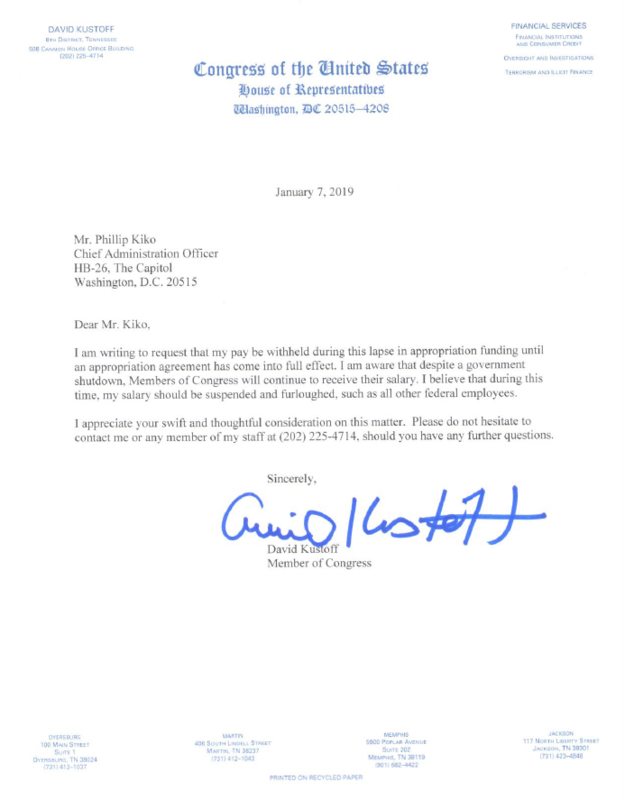 Rep.
Washington, D.C.—February 14, 2019—Congressman David Kustoff (TN-08) released the following statement after voting to provide full-year Fiscal Year 2019 funding for various departments and agencies, and funds for the wall at our southern border. Washington, D.C.—February 12, 2019—Congressman David Kustoff (TN-08) today released the following statement following FedEx’s announcement of new expansion and investment in West Tennessee. Washington, D.C. – February 5, 2019 – Congressman David Kustoff (TN-08) delivers remarks following President Donald J. Trump’s State of the Union address to Congress.